Video: This Wireless Mic Is The Best Gadget For Videographers! Home / Computers/technology / Gadgets / Video: This Wireless Mic Is The Best Gadget For Videographers! If you've ever used a wireless microphone for video production, then you'll know that it's much less of a hassle than using a hardwired mic, particularly if you're on location at a trade show or other crowded, on-the-go event. If you're shooting with a smartphone, however, typically an adapter has to be installed between the mic's receiver and the phone. Samson has addressed that issue, with their latest new gadget, the Go Mic Mobile. 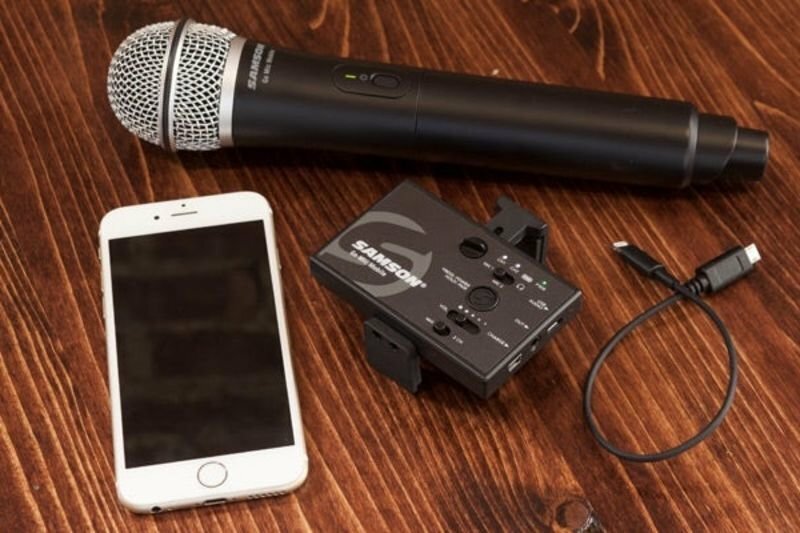 The best feature about the Go Mic Mobile is the fact that its dual-channel receiver can be plugged directly into an iPhone via a lighting cable – which is included with the gadget – or into an Android device using the USB Micro B or USB-C cables which are also included. The Go Mic Mobile's transmitter utilizes the 2.4GHz frequency band and has a 10Hz–22kHz frequency response as well as a claimed range of 100 ft (30 m). Buyers can choose between a dynamic handheld mic with a built-in transmitter or an omnidirectional lavalier with a belt pack. If they opt to purchase two mics, both of their signals can be received and recorded at once – either mixed or recorded on separate tracks. There's no word on battery life for the Go Mic Mobile transmitter, but reportedly it can run for up to 13 hours per charge. Although it was first announced a few months ago, the Go Mic Mobile officially became available on B&H, Fry's, Amazon and the Samson website. It's priced at US$249.99, for a single-mic setup. The system can briefly be heard in use, at the 53-second mark in the video below. That said, it would be nice to see how well it works at longer distances. Have a look at the video to see the Samson Go Mic Mobile in action! !